In the early years of photography, photographers and painters collaborated, borrowed and shared ideas, ushering in a period of innovation in both art forms. As a new show opens at Tate Britain exploring how the two disciplines influenced each other, we take a look at the stories behind the images. 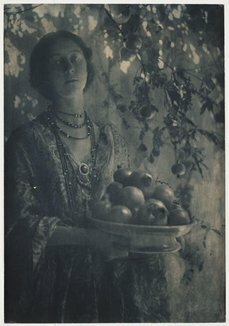 Jane Morris was the model for Rossetti’s Proserpine brooding in the underworld, where she is fated to stay because she ate part of a pomegranate. It has been suggested that the picture reflected Rossetti’s feelings about (his later lover) Jane’s marriage to fellow artist and designer William Morris. 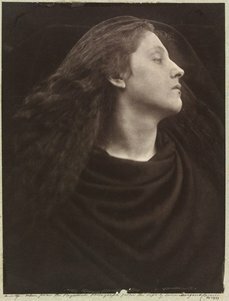 Though the model for Zaida Ben Yusuf’s study of the same subject, made in 1899 (the year Rossetti’s painting was published as a photogravure), is anonymous, it bears a resemblance to the photographer herself. A working class woman from London, the success of Ben-Yusuf’s New York portrait studio owed much to her unconventional style and decor and her innovative, art-inspired compositions. Ben-Yusuf’s pomegranate has not yet been bitten, changing the emphasis of the picture from regret to temptation. In 1907, the Lumière brothers made the first practical colour photographic process available. 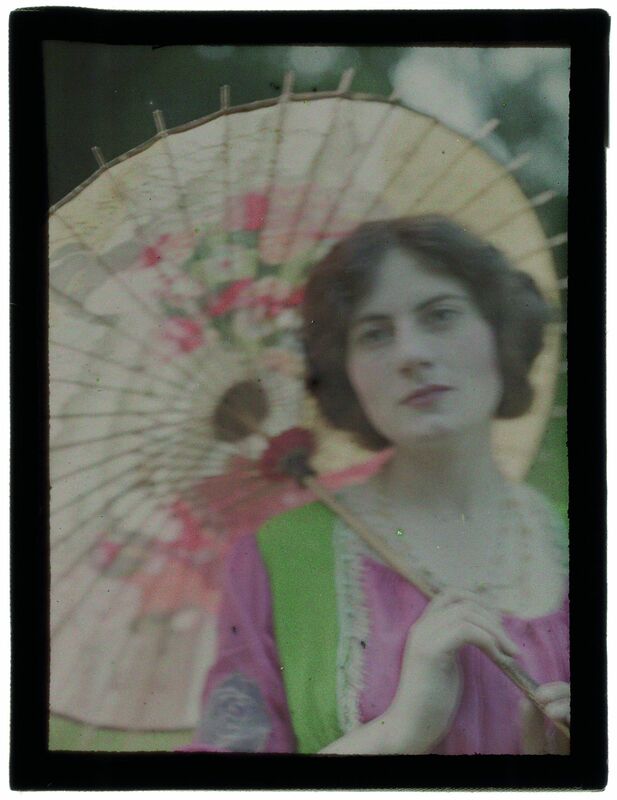 Warburg was interested in the decorative possibilities of these new autochromes, and paintings were a natural model for him. However, when creating new colour images such as this Japanese-influenced image, the colours often appeared sharp and jarring in comparison to the older monochrome process. 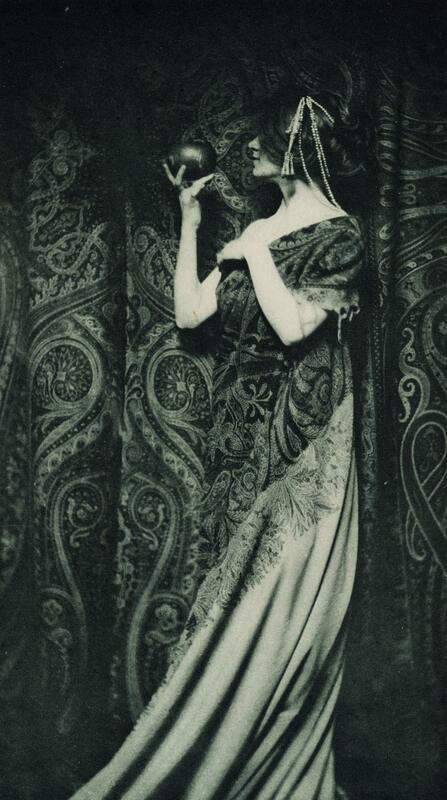 To produce a paler palette, Warburg over-exposed this plate. Whistler was already famous for selecting harmonious colours, settings and accessories, and for his enthusiasm for Japanese design. The three figures in Whistler’s painting were based on classical sculptures sketched in the British Museum as well as from photographs. Painters and photographers at this time represented real people in their pictures, rather than using conventional models. Henry Wallis’s friend, George Meredith posed for his painting of the suicide of eighteenth century poet Thomas Chatterton. Meredith himself was also a poet struggling to survive by his writing, and this bare attic overlooking the City of London evoked the urban poverty of Wallis’s own time. Unfortunately, the friendship ended when Meredith’s wife left him for Wallis. The painting toured Britain and Ireland and its striking realism inspired Dublin photographer James Robinson to recreate it using a young boy on a real bed set against a painted attic background. 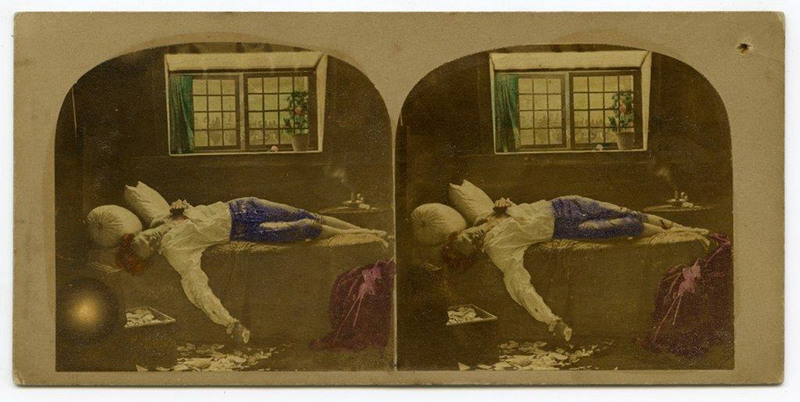 The image was an early example of stereoscopic three-dimensional photography. Exhibition curator Carol Jacobi takes you on a tour of Painting with Light.